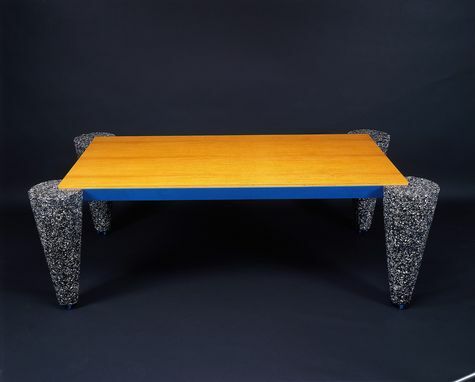 The Kai Table was originally designed for Progressive Architecture's annual furniture competition in collaboration with Seattle designer, Larry Rouch. 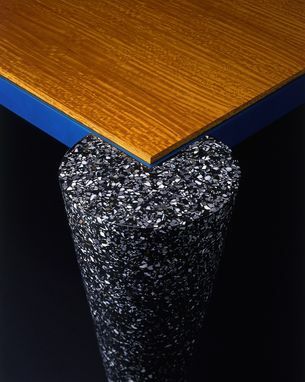 We were both interested in producing a piece that addressed the issue of a new aesthetic base by incorporating with wood the alternative, "nontraditional" materials anodized aluminum and terrazzo. 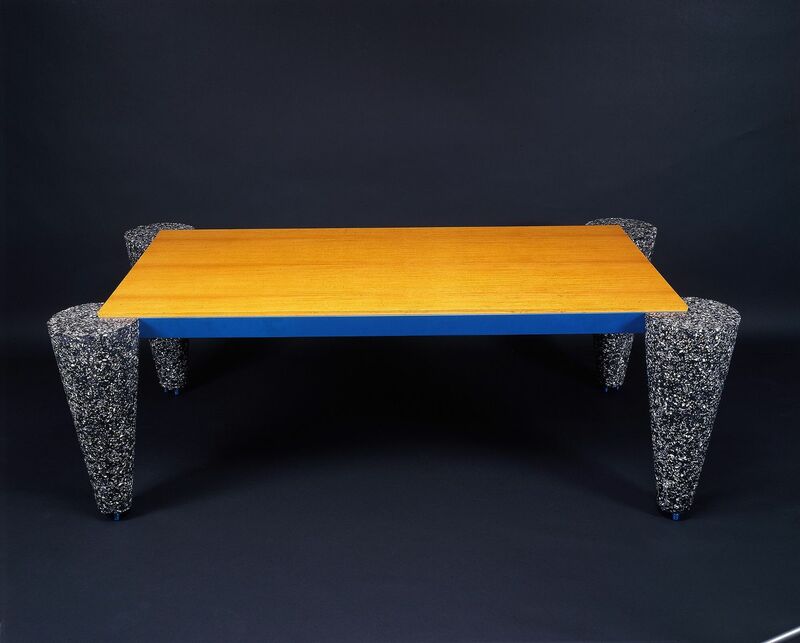 The table was featured on the cover of "Northwest Furniture: Today" sponsored by the Boise Gallery of Art in 1985. Dimensions: 29" tall, 72" wide, and 36" deep. Every maker has a story. Be a part of Van Horn Design's story by placing an order, leaving a review, and seeing your review appear here.